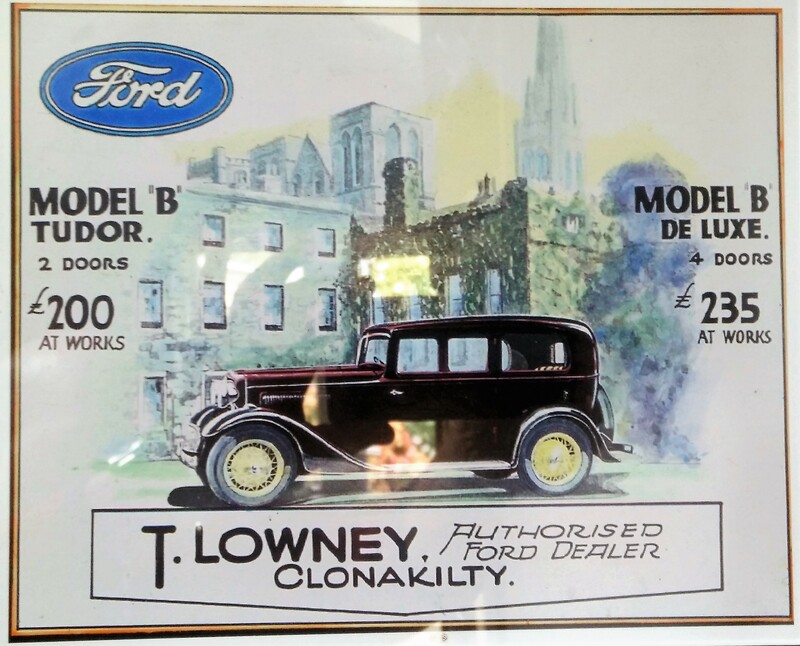 The LOWNEY surname is well known in Clonakilty. It is my wife’s maternal family line. 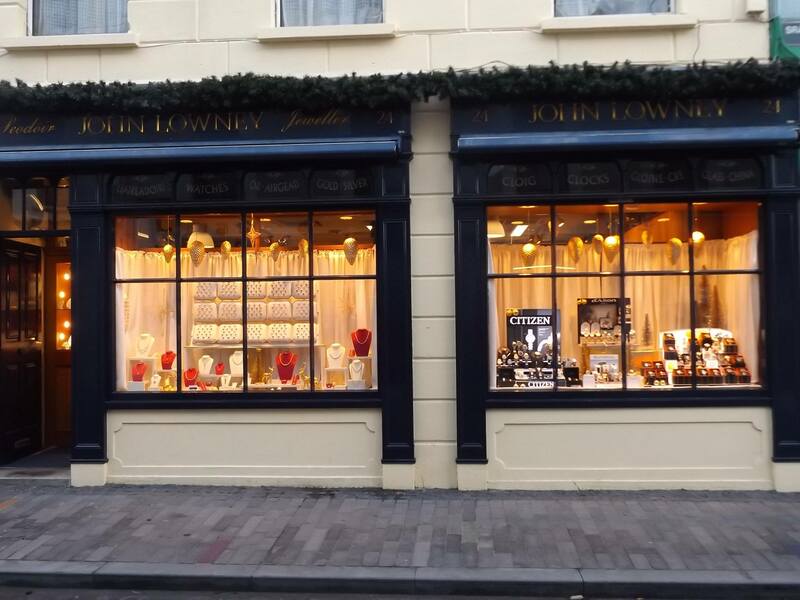 Several businesses in the award-winning town are owned by the family, including Lowney Coaches, Scannell’s bar in Connolly Street & John Lowney, the Jeweller, in Ashe Street. The family name is particularly concentrated in West Cork for historical reasons. This is a sort summary of the background on how the LOWNEY family came to be established in Clonakilty. 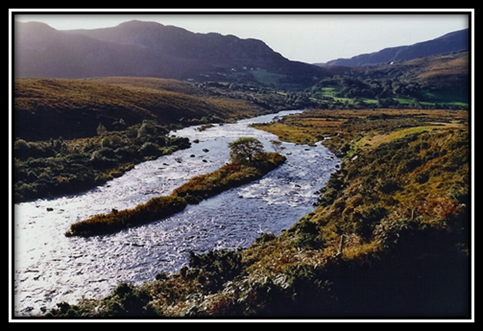 “The LOWNEY in Berehaven were originally O’SULLIVANs who came from beside the Laune River, Killorglin, Co. Kerry. They were called the LAUNEYs after coming to Berehaven, and they eventually became known as the LOWNEYs. Four brothers came. One settled in Bunskellig, one in Bere Island, one in Clogheen, Garnish, and the fourth (a weaver) in Ard na Sciach, Filane, Castletownbere. Later, they spread out to Foromanes (Eyeries) and to Lickbarrahan (Cahermore), to Derrimihan (Castletownbere), etc.” – Annals of Beare, Vol. II, p. 280 (2009). It is thought the LOWNEYs may have been O’SULLIVANs that were part of the defeated forces at the Battle of Kinsale in 1601, who fled and settled in the Laune river valley, as some early church records refer to them as the sept of O’SULLIVAN Launa. 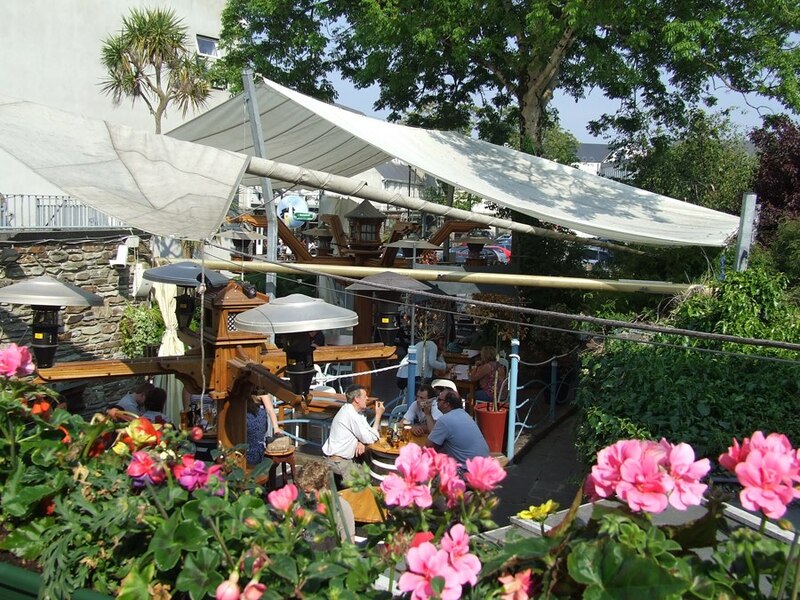 The Clonakilty family are still known in the town by the dialect pronunciation of LOONEY, even though spelling their names LOWNEY. The 1911 Irish census is a good illustration of this variation, as the family members (then living in Strand Road) are clearly listed by the enumerator as LOONEY but the signature of the head of household was LOWNEY. Based on O’Dwyer’s Annals, above, it would appear that the branch are descendants of the fourth LOWNEY brother. My own research suggests this brother may have been named Maurice, but it is far from proven, as it is unclear what the timeline for the historic brothers arrival in Beara was. Local church records do not cover the period in question, with records only starting from the early pat of the C19th. While the timing is unclear, the name is well established on the Beara Peninsula by the late C18th and several branches still reside in the area. No Y-DNA studies are known that could link the disparate LOWNEY families and whether they are genetically-related to a branch of the O’SULLIVANs, however I am keeping a surname database and family trees for anyone interested in sharing their stories or their atDNA and Y-DNA results. Irish Church records, where they exist and are complete, can be helpful in providing the names of both parents, witnesses and sponsors to marriages and baptisms, as well as places/townland of residence (although they can be difficult to decipher, written in Latin, abbreviated and recorded phonetically). Despite this, a reasonable paper trail exists back to the earliest C19th, which in genetic terms may be enough to prove up to 3rd cousins (4th cousins, rarely). Crop failures and The Irish Famine of 1845-52 resulted in a high mortality rate and mass emigration to England, Scotland & particularly the United States. The lack of employment prospects in Ireland, combined with the need for labour in the US, resulted in the Atlantic being the most popular route. Outside of the big US cities, some newly-settled US branches favoured Falls River, Massachusetts, which was the heart of the early US textile industry (as many had weaving skills) and Butte, Montana, one of the biggest and most notorious boom towns, famous for its mining (as many LOWNEYs were originally copper miners on the Beara peninsula). With the eldest or surviving son usually inheriting the family farm, younger members of the family either remained in support or move away to start a new life. Records also support family stories of surviving daughters who were in line to inherit being “bought into marriage” by landless men to obtain title to land of their own. It was common for children not to marry until their 30’s, until such time they inherited and/or could support a family of their own. Church records are generally in the Roman Catholic parishes of Castletownbere, Allihies & Eyeries; all records falling under the Diocese of Kerry, despite being in the far reaches of County Cork. 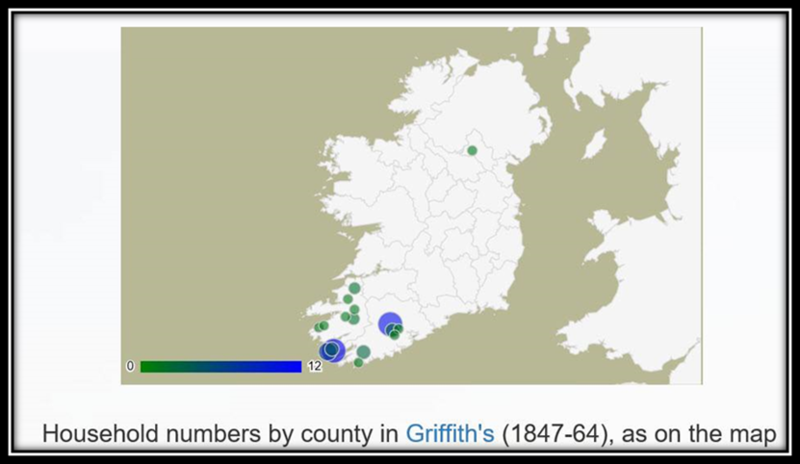 The noted historic valuation of landholdings in Ireland, conducted by Griffith in the mid C19th, is a much-referred-to resource for those looking for ancestors who were tenant farmers. The surname distribution map, below, provides a snapshot of the distribution of the LOWNEY surname in that period. Many members of my wife’s LOWNEY branch moved out of the Beara peninsula in the C19th to find work. The family in present-day Clonakilty are descendants from the family that resided in Filane (aka Felane, Filane West & Filane Upper), a group of townlands, along with neighbouring Derrymihin East & West, situated just east of Castletownbere (Castletown Berehaven). In earliest records, the townland (or sub-townland) is often referred to as variations on B*l*sk*, (including Ballusky, Bahluska, Bolisk, Bolesk, Bollusk, Bolusk, Bolusky, Bulhusk, Buesk, Bulisk, Bulliesk, Bullisk, Bulisky, and Bullusk). The place is also recorded as Ardnasciach or Ardnaskeagh (as referenced by O’Dwyer) which may translate from the Gaelic as “high (the) thorns (skeagh = hawthorn)”, or anglicized as Thornhill, a place name just east of Filane and adjacent to Rossmackowen & Curryglass, where some of the family are known to be buried. The 1901 & 1911 Irish census confirms that the Felane West townland consisted of no more than 8 houses and Bullesky school (the school having disappeared by the 1911 census). In both census years, the 8 properties were owned two each by LOWNEYs, SULLIVANs (O’SULLIVAN), and MURPHYs, with a single NEILL (O’NEILL) & SHEA (O’SHEA). As one would expect, these local families intermarried. Several detailed recorded oral histories exist (especially in emigrant families in the US) to piece together the last 200 years of the family tree. The documented head of the Felane family is Timothy LOWNEY (c1799-1876), given of Ardnascaich, who married Mary O’SULLIVAN (of the neighbouring family) about 1830. He may be the son, grandson or great grandson of the original Ardnascaich settler mentioned by O’Dwyer. The couple had several children, including William LOWNEY (1831-1909) who married Margaret MURPHY (1844-1916; of the neighbouring family) in 1870. Their son Timothy LOWNEY (1873-1916) married Mary HOULIHAN in 1909 and inherited Ardnaskeagh from his late father. William’s brother, John LOWNEY (1834-1916), farmed at Filane Upper and married Mary O’SULLIVAN of the Ardnaskeagh family in 1860. Their son John “Jack” LOWNEY (1862-1940) was a Carpenter & Master Coachbuilder. He married Ellen O’SULLIVAN (1871-1934) of the Kilmore townland on Whiddy Island, Bantry Bay in 1890 and the couple settled in Clonakilty. Jack is the patriarch of all the present-day Clonakilty families. The family owned the original town cinema (now demolished) and a garage, having one of the original Ford franchises; Henry Ford’s grandfather having been born close to Clonakilty. John’s son, Patrick Joseph LOWNEY (1891), was also a Coachbuilder. He moved to Wexford town to set up on his own. There are many descendant LOWNEY families in Wexford with the same ancestral roots, owning a number of the town’s businesses such as Lowney Furniture; but that is another story. More detail and research into the various LOWNEY families. Enquiries on research can be made via My Irish Genealogy on Facebook. Guests at Ballynoe House will have the opportunity to get an introduction to or free support in investigating their family histories.